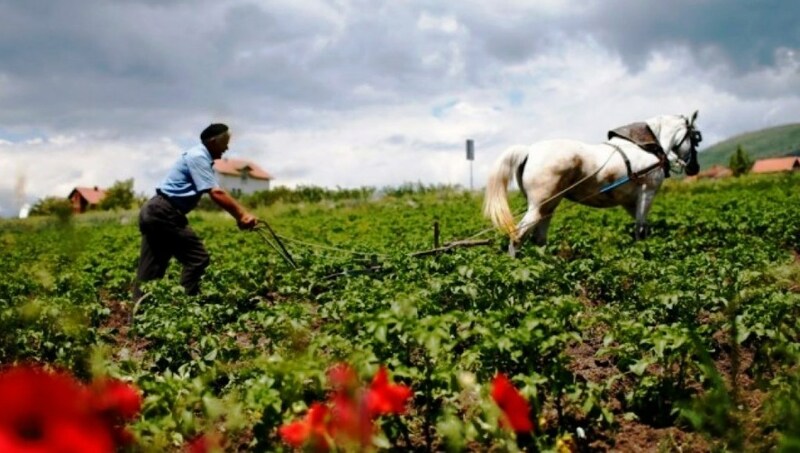 Politicians in the country are doing everything to promote the farming sector, but Albanians do not seem to be very interested in working in this sector. This is indicated by the recent official figures, according to which, from one year to another, there’s a significant drop in the number of people working in this sector. On the other hand, the number of people choosing to work in the service sector is growing. According to the data supplied by the Institute of Statistics on the latest Survey on Labor Force, the number of people working in farming is dropping. Except for the district of Elbasan, which shows a growth in the number of people working in agriculture, the 11 remaining district indicate a fall. There are even districts like Tirana with very modest percentages of people working in farming, namely 7%. This level has remained unchanged in the past two years, despite the new farms that have been opened or the subsidies that the state offers each year to stimulate agricultural productions.Meanwhile, Tirana has the highest number of people employed in the service sector. In other words, the majority of people who work in the capital, prefer “easy jobs” and not the hard work in the agricultural sector. The level of people who work in the service sector in Tirana is 66% of the total. Meanwhile, in Elbasan, where there were a high number of people working in farming, only 22% of people work in the service sector, 2% fewer than two years ago. On the other hand, the service sector seems to act like a “life line” for people working in other areas of the country where employment is a major issue for the local population. In the district of Gjirokastra, this year, the number of people working in the service sector has increased to 45% as opposed to 39% two years ago. On a national level, the farming sector has registered a significant fall as far as the number of people working in it is concerned, namely 37.7% as opposed to 40.7% two years ago. But, this is not the case with the service sector where the number of people working this year has increased to 42.7% as opposed to 40% two years ago. Copyright © 2017 Albanian Free Press. All Rights Reserved.